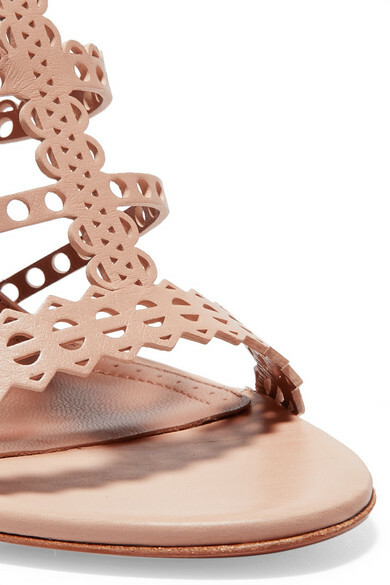 Alaïa's sandals are instantly recognizable thanks to the laser-cut detailing that the late Azzedine made his signature. This smooth leather pair has been crafted in Italy and set on 90mm stiletto heels that are fluted for comfort. Match the beige hue to your pedicure. Shown here with: Alaïa Bodysuit, Alexander McQueen Skirt, Alaïa Bucket bag.